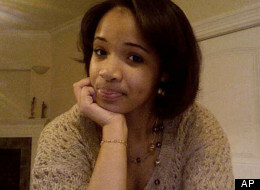 The funeral may be over, but Hadiya Pendleton will never ever be forgotten. Hundreds of mourners and dignitaries including, first lady Michelle Obama, packed a Chicago church on Saturday, February 9, 2013, as Hadiya Pendleton, the 15 year old Chicago honor student killed by gun violence, was laid to rest. An outpouring of support has continued from Chicago to New York to Miami to Atlanta, and all points in between, as the country grieves for this young woman and all children killed by senseless gun violence. Members of Alpha Kappa Alpha Sorority, Inc have also extended words of sympathy and condolence. Ms. Cleopatra Pendleton, Hadiya’s mother, is a member of our beloved sorority from the Phi Epsilon Omega Chapter. Hadiya’s godmother, Ms. LaKeisha Grace-Stewart is a member as well from Chi Omega Omega Chapter. Prayers are requested for the Pendleton family and all impacted by the loss of such a young soul. Donations are being collected to help cover funeral and other expenses via PayPal. sisters and friends do to help alleviate this problem?